Please email info@cleverdogstrainingschool.co.uk to request a booking form. Please note spaces are limited. Aggression can be a serious problem for those who experience it. Not only can it be socially isolating and emotionally exhausting for the dogs guardian but also extremely damaging for the dog, both mentally and physically. The first step to dealing with aggression is to first understand it. Using the latest knowledge from fields such as biology, psychology and neuroscience, this course will give you an insight in to what causes and resolves aggression. Lunch will be provided in a buffet style. If you have any special requirements please do let us know. Tea and coffee will be provided throughout the day. We have years of experience of dealing with difficult issues for owners such as barking, jumping up, aggression, pulling on the lead and more - we can help you! Great training class today, really enjoyed it! 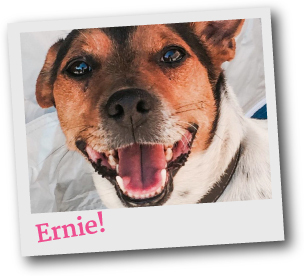 Ernie can't wait to go to day care everyday, he's having the time of his life! 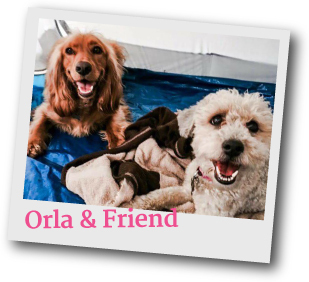 dog training, day care, courses, classes, one-2-one consultations and more! We have years of experience of dealing with difficult issues for owners such as barking, jumping up, aggression, pulling on the lead and more - we can help! We also take veterinary, hydrotherapy, physiotherapy referrals.